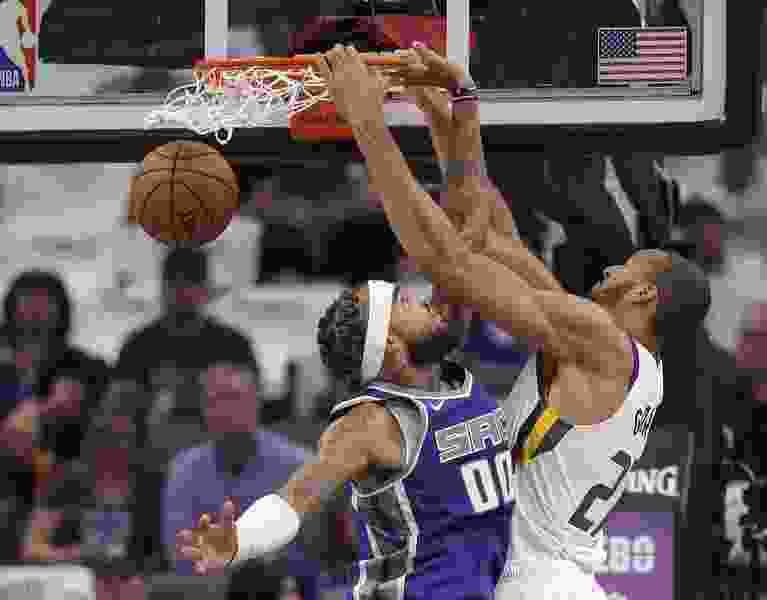 Rudy Gobert was on the minds of both head coaches ahead of Friday night’s home opener at Vivint Smart Home Arena. While there’s an emerging narrative that the 7-foot-1 center’s effectiveness is limited by facing opponents that utilize small-ball lineups more frequently, such as Golden State, that didn’t make Warriors coach Steve Kerr any less complimentary about the center’s impact on the court. Utah’s Quin Snyder, meanwhile, smiled at the suggestion that being recognized as the Defensive Player of the Year might somehow generate some complacency from the Frenchman. At the Warriors' shootaround on Friday afternoon at the Viv, two-time league Most Valuable Player Steph Curry was asked to assess second-year Jazz guard Donovan Mitchell. He likes what he’s seen thus far. Though the Warriors beat the Thunder in their season opener on Tuesday night, Kerr was keen to see how his team would do in its road opener against another of the projected top teams in the West. The Golden State coach said he was anticipating a good test from the Jazz.